With the kitchen considered the heart of a home, the selection of appliances featured in a new property can be critical. Anne Kaarlela from InSinkErator takes a look at how waste disposal and steaming hot water taps can help to add value to a build. Kitchens can make a real impact on prospective buyers, with many discussions about a new build home taking place in what many consider, ‘the heart of the home’. Together with layout, furniture and décor appliance specification is therefore highly important. Not only are appliances a highly visible part of a kitchen in a new home, they can also add tangible value, and be a real talking point for prospective customers. 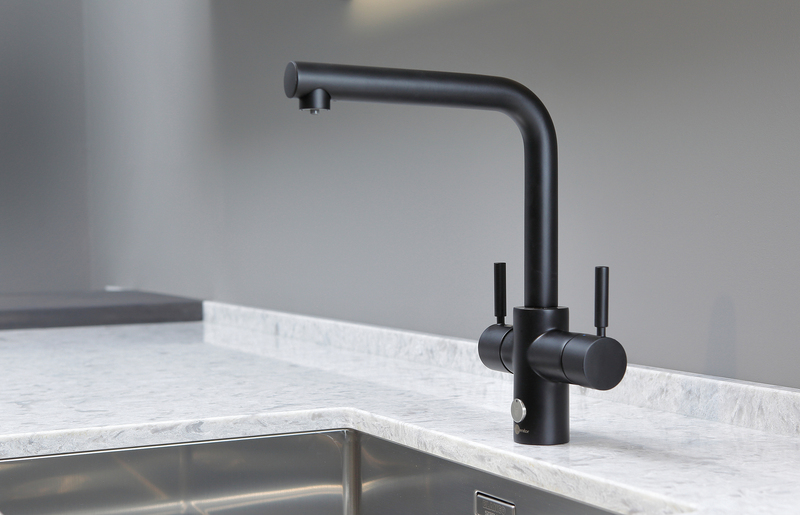 According to the 2017 Houzz UK kitchen trends survey, 24 per cent of respondents installed a steaming hot water tap in their kitchen in the last 12 months, or plan to install a steaming hot water tap in their kitchen in the next three months. With consumers more aware and enthusiastic about steaming hot water taps there is clearly an opportunity to add value to all new homes. Food waste disposers are an easy add-on to any kitchen as they are designed to complement all kinds of kitchens. With numerous unsung practical, convenient and lifestyle benefits to the consumer, it is important for the housebuilder to mention the added value such products can bring to the home. For disposing of food waste safely and hygienically, why not specify a food waste disposer rather than a bin? It fits neatly under the sink, out of sight, saving the specification and the space of a food waste bin. One of the most common mistakes when specifying a specialist tap or food waste disposer is not specifying one at all. There is a huge scope for housebuilders to educate consumers on the range of products available, the benefits they offer and to encourage sales of these products; not doing so is an opportunity and a margin missed. 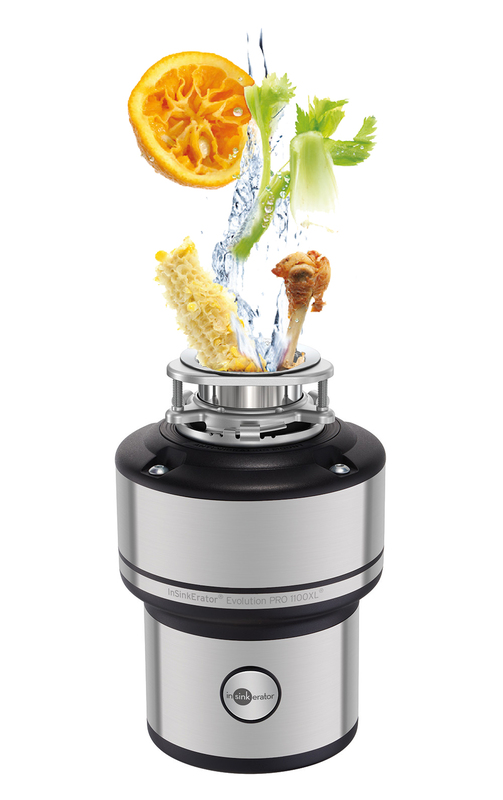 InSinkErator has a range of food waste disposers to suit every household and lifestyle. 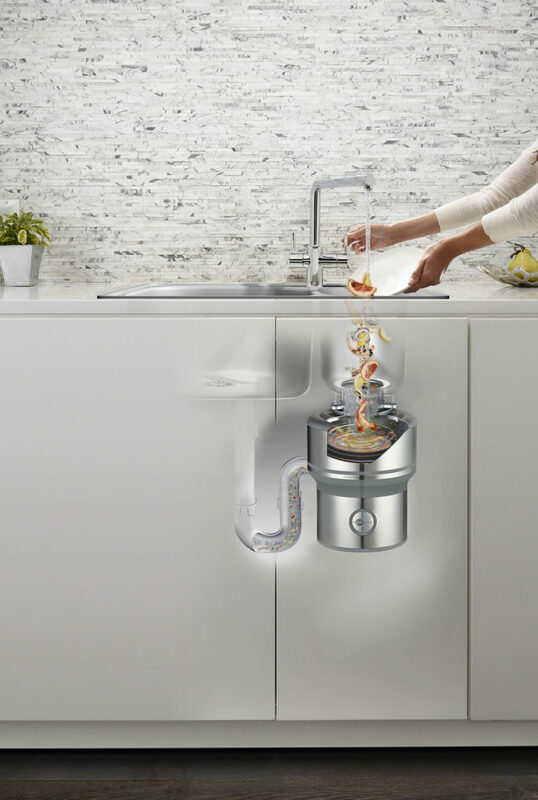 The top-of-the-range, premium Evolution 250 food waste disposer benefits from overload protection and an auto-reverse action, which makes for trouble free operation and an extended lifecycle. The Evolution 250 features a high-torque Dura-Drive induction motor to tackle the most difficult-to-grind foods. It also comes complete with a deluxe polished chrome stopper cover, and is supported with an eight-year parts and labour guarantee. The M Series models are smaller than other food waste disposers in the company’s range, but still possess the same functionality and versatility as the larger models. The range features three food waste disposers in different sizes; Model 66 for use by large families, Model 56 for regular use or for smaller households and the smallest model in the range, Model 46, is suited to light use. With recycling at the top of the agenda, waste is a problem in every home. According to WRAP, seven million tonnes of food and drink are wasted every year in the UK, amounting to approximately 20 per cent of all household waste. InSinkErator is an active campaigner in encouraging the disposal of food waste sustainably, and advises composting wherever possible. Where this option is not possible, however, a food waste disposer is an alternative for diverting food waste from ending up in landfill. Food waste disposers and steaming hot water taps can add value to a new kitchen. Steaming hot water taps eliminate the time lost waiting for the kettle to boil, while the perfect amount of readily available steaming hot water contributes to countless other kitchen tasks and reduces water waste in the home. 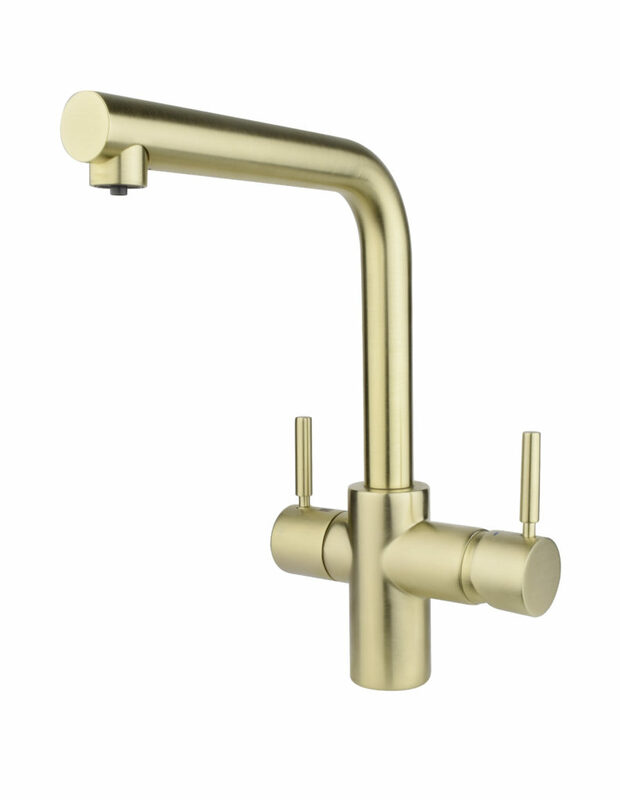 Available as a combined fixture or stand-alone additional tap, in a number of on-trend metallic finishes too, InSinkErator offers a wide variety to housebuilders looking to install steaming hot water taps in a range of different properties, in the same area, targeted at different consumer demographics. One essential and valuable accreditation for both InSinkErator and housebuilders is that an array of the company’s steaming hot water taps have gained approval from the Water Regulations Advisory Scheme (WRAS), including the 3N1 steaming hot water taps. InSinkErator has also gained approval from WRAS for their hot water tank and filter unit, demonstrating its commitment to compliance and the safety of consumers. The plight of plastic bottles is causing huge environmental damage to the planet. There is an opportunity to encourage the consumer to help, as well as do themselves a favour of not having to lug bottled water from the supermarket. The latest InSinkErator 4N1 Touch combination tap delivers a stream of filtered cold water for 30 seconds at the touch of a button. Consumers benefit by having instant filtered cold water readily available reducing the need to purchase bottled water, contributing to the reduction of plastic bottles going to landfill.